← No Wonder My Dreams Weren’t Coming True: I’d Been Using Shredded Cucumber! Brin is 6. 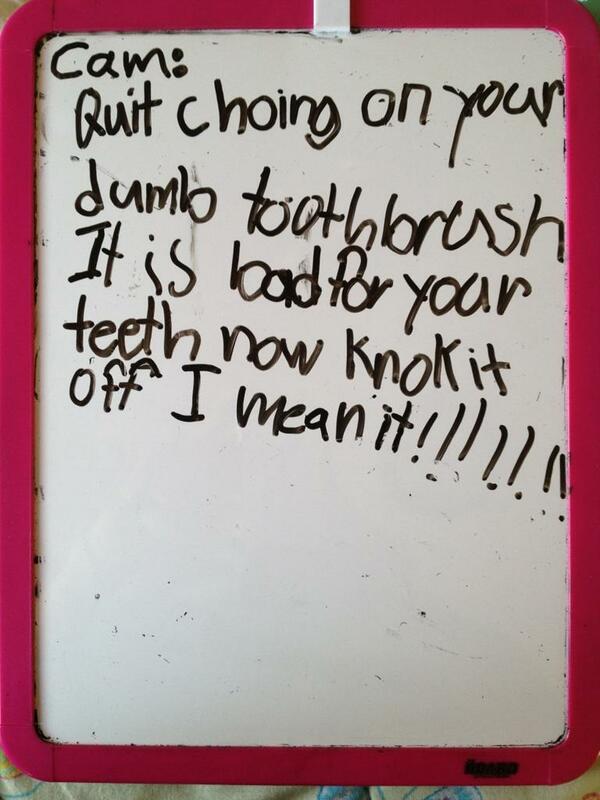 She left this whiteboard note on her 8-year-old brother’s bed. Posted on January 12, 2012, in Miscellaneous, Notes and tagged funny writing, Humor, kid writing, Stuff Kids Write, whiteboard writing. Bookmark the permalink. 3 Comments.